systems generally consume the highest amount of energy in comparison to other building systems. From study to design, initial phasing to construction, our mechanical engineers are determined to deliver a solution that integrates energy efficiency with indoor environment quality and thermal comfort through practical solutions. Our long successful history of troubleshooting mechanical systems as well as HVAC design for system replacements and upgrades provide expertise in: boiler & heating plants, chilled & condenser water plants, heat recovery systems, variable air volume systems, laboratory exhaust systems, kitchen exhaust systems, make-up air systems, humidification systems, refrigeration systems, hydronic heating & cooling systems, steam heating systems, clean room systems, computer room air conditioning systems, natatorium dehumidification systems, heat pump systems, geothermal (ground-source) systems, combined-heat and power systems, and energy management control systems. HVAC upgrades for 1 million square foot building built in 1935. 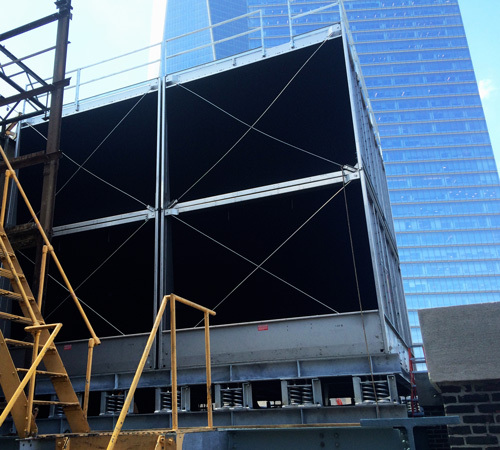 Following OLA’s full building energy audit through NYSERDA’s FlexTech program, our engineers implemented HVAC upgrades and lighting recommendations including the replacement of two existing 3000 ton cooling towers to a high-efficiency cooling tower with variable speed drives on the fan motors and a new chiller plant. Phasing allowed consistent cooling during construction to avoid disruption for tenants including USPS, NYCHA, DOH, and PSC. This new building received LEED Gold and features a geothermal heat pump system. OLA’s HVAC design for the 28,000 square foot Media Arts Lab includes a vertical well closed loop geothermal heat pump system, heat recovery systems including a central dedicated outdoor air system, non-ozone defeating refrigerant, condensing boiler, and a radiant floor system that combine with other sustainable features to achieve over a 30% energy cost savings compared to the LEED baseline building. 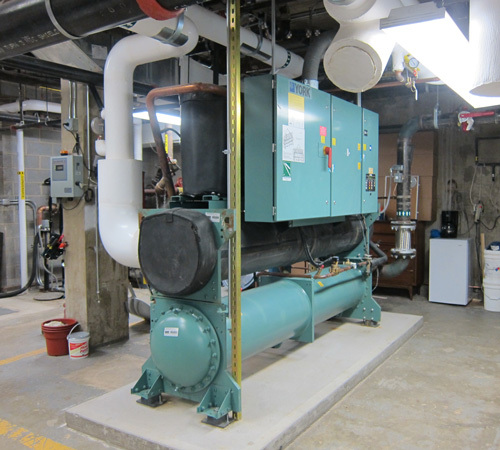 Renovations to the 88,000 square foot YWCA residence for women includes replacement of all HVAC systems. OLA performed MEP systems design for this $22M renovation project. 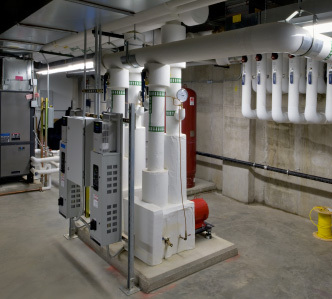 HVAC includes the replacement of two boiler plants, hot water and steam, with one central high efficiency gas fired hot water plant, a new chiller plant, new cooling tower, new fan coils for each residence unit, and new air handlers for common areas. Green design features complied with NYSERDA’s Multifamily Performance Program and Enterprise’s Green Community Criteria.